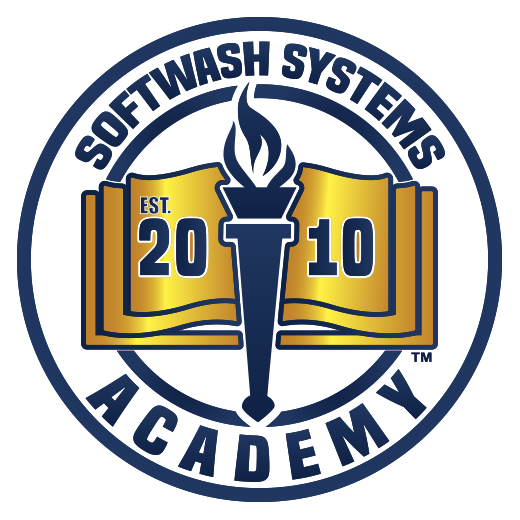 The SoftWash Systems Blend Module’s metering valve system allows you to draw bleach and surfactant into your soft washing solution. This tank is designed to hold 50 gallons of bleach/SH (not a mixed solution). 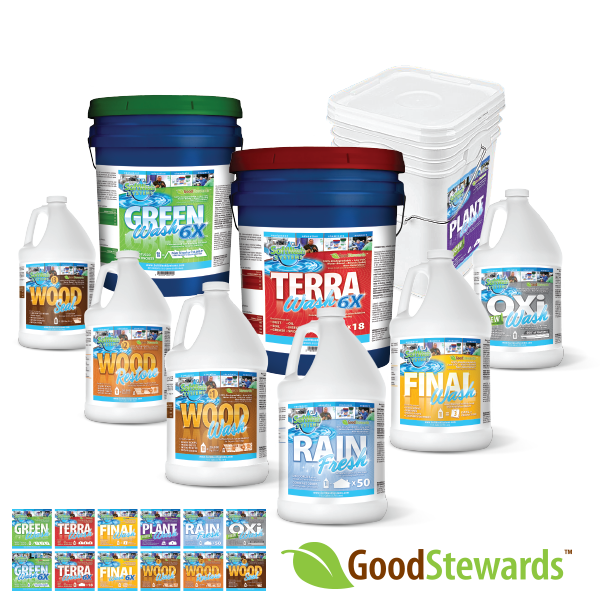 The Blend brings in water and your surfactant at the time you are ready to spray. This makes measuring bleach to chemical ratios simpler than ever before. The Blend lets you to control your mixing ratios all at the turn of a knob, allowing you to reap profit from higher profit margins by reducing labor time on jobs. This Blend Module can be configured into any size cradle skid that you desire. We have several smaller all-inclusive equipment units that include this Blend Module and its high capability – such as the Blend 50, Blend 100 and the Blend and Rinse unit. The chemical storage tank, commonly referred to as the bulk storage module acts like an expansion pack for its partner – the Blend Module. The chemical storage tank allows you to hold an additional 50 gallons of bleach, for a total carrying capacity of 100 gallons when paired with the Blend Module. This allows you to have more bleach on hand for larger residential jobs or commercial work. This keeps you below the 119 Gallon DOT Limit for driving with bleach containers. Though Soft washing utilizes standard garden hose pressure to rinse away mold, mildew algae, bugs nests and other stains from surfaces, sometimes the garden hose pressure is inadequate. Varying factors like poor city water pressure, on-site wells or inadequate plumbing remove the option of using a standard garden hose for post application rinsing of a surface. This multi stage booster pump that accelerates its source water pressure by as much as 6 times the volume and pressure. This module allows you to quickly and easily rinse down your property that you are cleaning efficiently, while still maintaining a fossil fuel free environment. The pure water module consists of a 50 gallon water reservoir, H2PRO RODI 40IN CART RO, a bracket that secures the H2pro to the tank, and a 5 gpm pump to transfer the pure water from the cart to the tank. 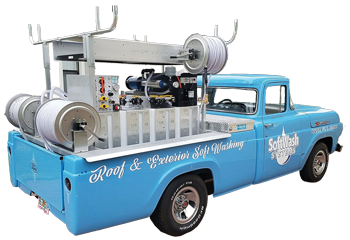 This water purification option will allow your cradle skid to be equipped to rinse windows with spot free water. The Carbon filter on the unit removes the chlorine from the water, then moves the water through the Reverse Osmosis (RO) membranes which remove the majority of mineral deposits. The final stage of the filtration is the water going through the Deionization Filtration (DI) which removes the rest of the impurities. The water buffer tank allows for additional water storage and consumption. Typically, this is used to supply extra water storage for pure water or can be plumbed to a mounted pressure washer for additional supply. The buffer tank allows for continuous refilling process as the system draws down the water inside the tank. The buffer tank has an auto stop float valve shutting the water fill off when the tank becomes full.